Last summer, Tyler Jacobson was commissioned to create this fabulous piece to bring to life the walls of the State Bar and Grill at the bottom of the Empire State Building. 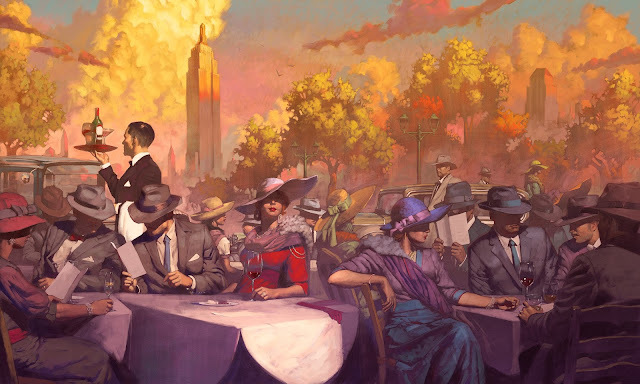 If you're in NYC, stop by, have a bite, and get totally transfixed by Tyler's piece that will take you back to a time that you wished you remembered! Check out more from Tyler Jacobson here! Check out the State Bar and Grill here!